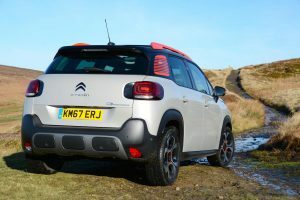 The Citroen C3 Aircross offers more visual character than a regular hatchback, it’s more fun to drive, and it even has some off-road ability. 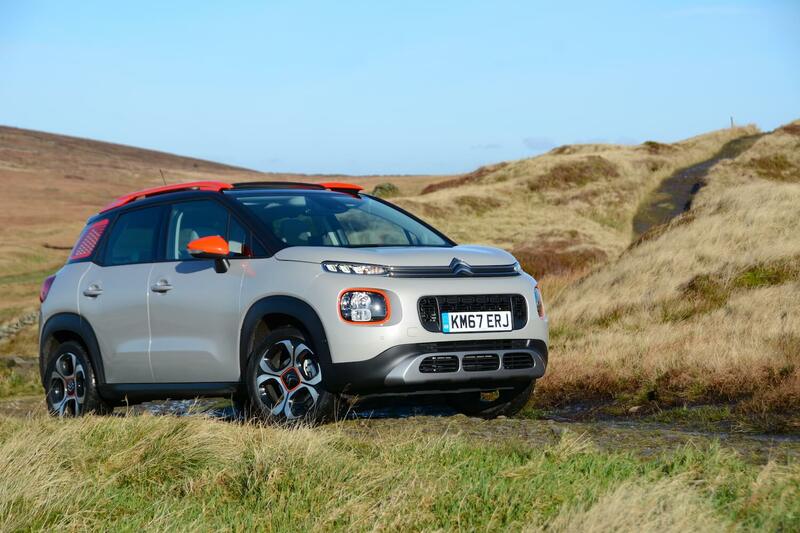 All car manufacturers need to have a presence in the fast growing ‘compact SUV’ segment, and the C3 Aircross is Citroen’s offering. With characterful looks and SUV pretensions, is this the way forward for Citroen? The Citroen C3 Aircross looks interesting, both outside and inside, and with raised ride height and all season tyres (but just front-wheel drive), it’s more capable than a typical hatchback. 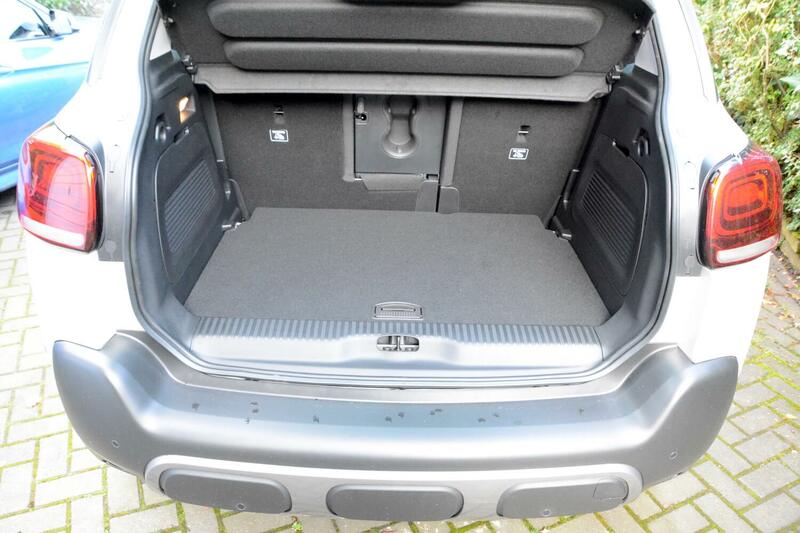 It’s also a practical body shape, with decent space for occupants and their luggage. The 3-cylinder, 1.2-litre turbo petrol engine mated to an automatic transmission makes for a better combination than this engine with the manual gearbox. 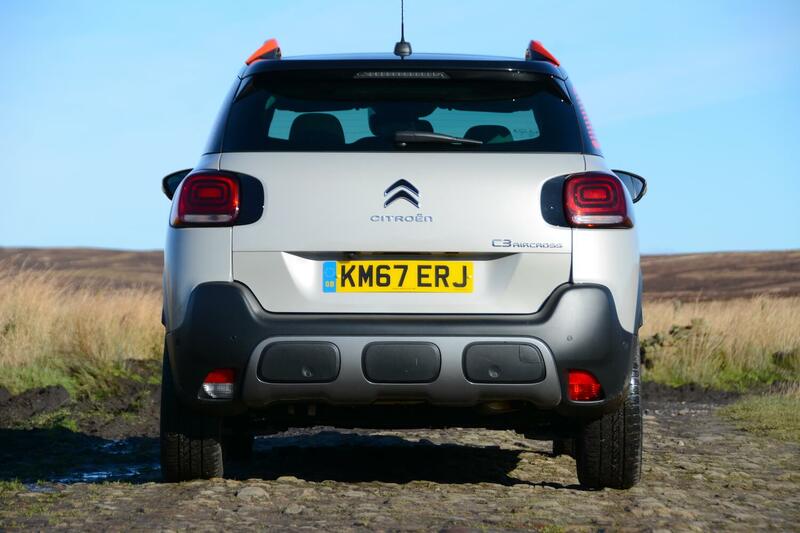 The C3 Aircross will fit easily into the life of many people in terms of its driving experience. 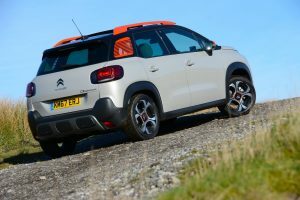 It feels compact, light and agile, the engine is responsive, and the automatic transmission makes it much more appealing to drive than some manual Citroen ‘boxes that we’ve tried – it seems to help reduce turbo lag compared to a manual gearbox – and it’s certainly much better than the company’s old ‘automated manual’ gearboxes. You can actually change manually if you choose, although you have to use the gear lever as there are no steering wheel-mounted paddles. 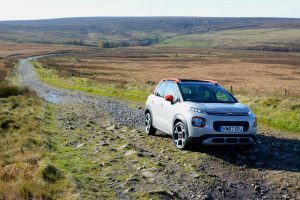 The steering will be weighted acceptably for most people, the handling benefits from the low 1200kg kerb weight and the ‘wheel at each corner’ layout, and the ride, on most road surfaces, is comfortable (although less so when off-road). 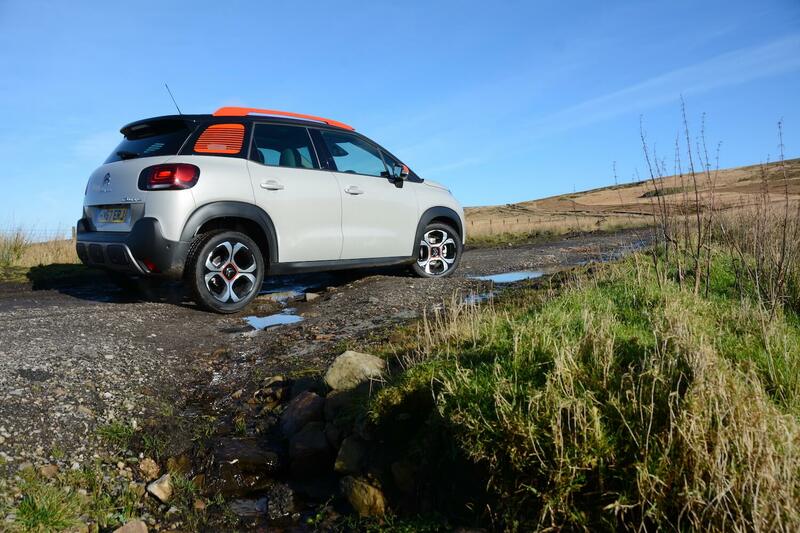 Our test car was fitted with all season tyres, and Grip Control, which meant that it was much more capable than you would imagine off-road. We’re all in favour of this approach, and we wish more manufacturers of 4x4s would fit such tyres. However when accelerating and cornering on wet roads, there’s not much grip from the front tyres, or much precision in steering feedback. Combined with the soft suspension, the car’s dynamics are the exact opposite to the controlled chassis and direct feedback of a sports car. Whilst the 1.2-litre petrol engine will meet most people’s daily needs, there’s not that much performance on offer if you need to push it, for example to overtake slow moving traffic on country roads. The engine also becomes somewhat vocal under such situations – although it’s generally quiet in normal driving conditions. There’s a Land Rover-style driving mode dial, giving options of highway, frost, off-road and sand. There’s also a ‘Sport’ button, along with a hill descent control function. You can switch off the traction control, but it comes back on automatically before you get to 35mph. The lane departure warning system is, in our view, annoying; you can switch it off, but you have to do this every time you drive the car. And having all the temperature controls on the touchscreen is also a bad idea – when you get in the car in winter, you have to wait for the touchscreen to wake up before you can dial up maximum temperature. 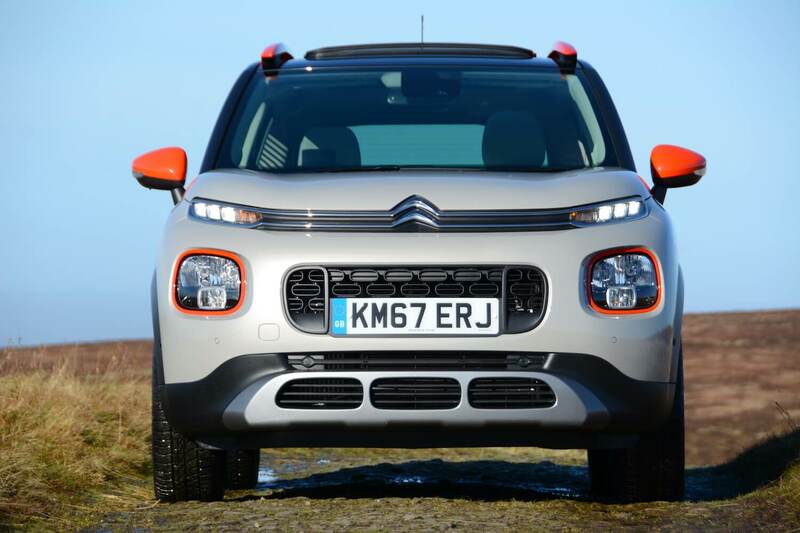 The reversing camera is useful, there’s a head-up display, and a large glass panoramic roof that opens. The official combined NEDC fuel economy figure for the Citroen C3 Aircross Flair S&S PureTech 110 Auto is 50.4mpg – equating to 126 g/km CO2. Gentle driving on A and B roads resulted in 43.4mpg. However this dropped to 33.1mpg in urban driving. This shows that downsized turbocharged petrol engines can be relatively economical on the official NEDC test cycle, or if driven carefully in real life, but as soon as you drive them outside of the test cycle, then fuel economy worsens considerably. This differentiation should improve with the new WLTP fuel economy test. Overall, after a week of mixed driving, we averaged 40.3mpg. 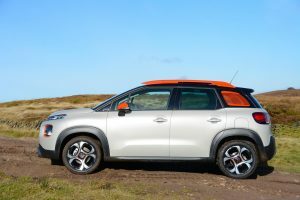 The Citroen C3 Aircross Flair S&S PureTech 110 Auto costs £19,200. 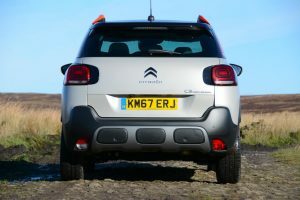 Our test car had options of metallic paint (£520), opening panoramic roof (£950), park assist pack (£600), Metropolitan Grey Ambiance (£350), Grip Control (£400), Techno Hi-Fi pack (£650), and Family Pack (£350), bringing the total price to £23,020. 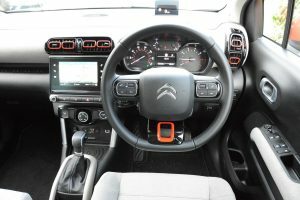 There are three trim levels: Touch, Feel and Flair, and five engine options: PureTech 82 petrol, PureTech 110 S&S petrol with manual or automatic transmission (as tested), PureTech 130 S&S petrol, BlueHDi 100 or BlueHDi 120 S&S. The C3 Aircross is one of our favourite Citroens of recent years. 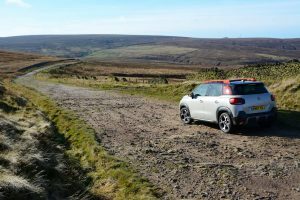 It does everything that a compact hatchback does, but it’s also visually more characterful, on the inside and outside, and it’s more fun to drive. 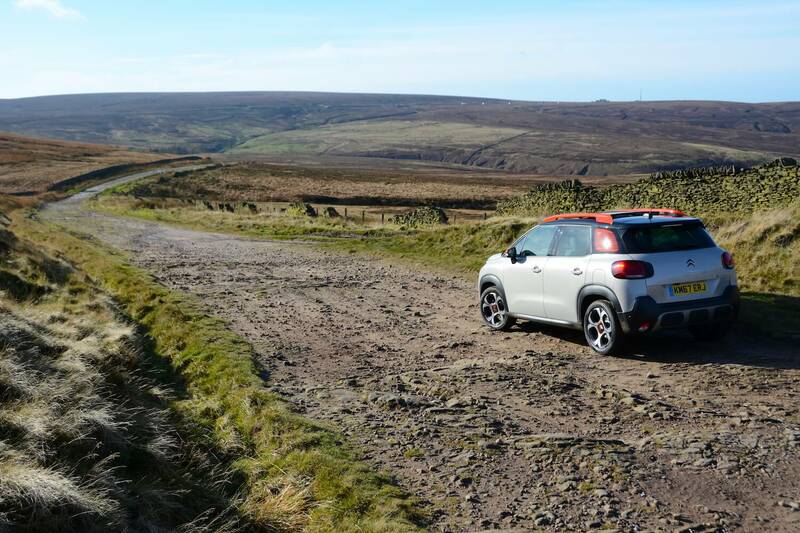 With all-season tyres, Grip Control and reasonable ground clearance, it’s also more capable than you would imagine off-road. 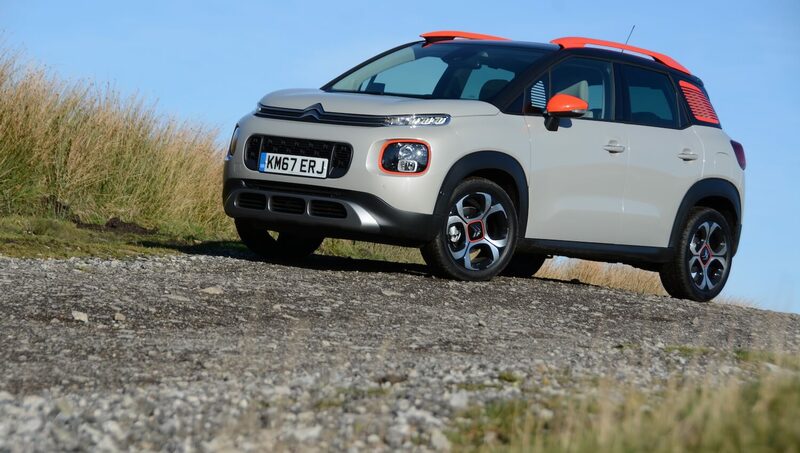 Our test car is the only model that comes with automatic transmission; we would recommend considering this, as it’s a better option than the manual, especially for lots of stop-start urban journeys. A petrol engine is a better choice than a diesel in terms of emissions that have an impact on local air quality, but the diesel engine will deliver better miles per gallon and lower CO2 emissions. 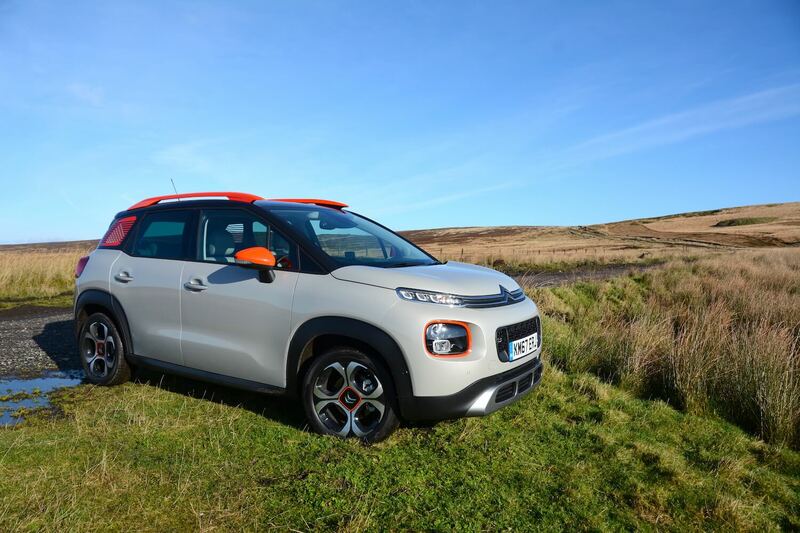 It won’t be too long before an electric powertrain is a common choice in a car such as this, although that’s likely to push the price up considerably from the reasonable £19,200 for this petrol model. 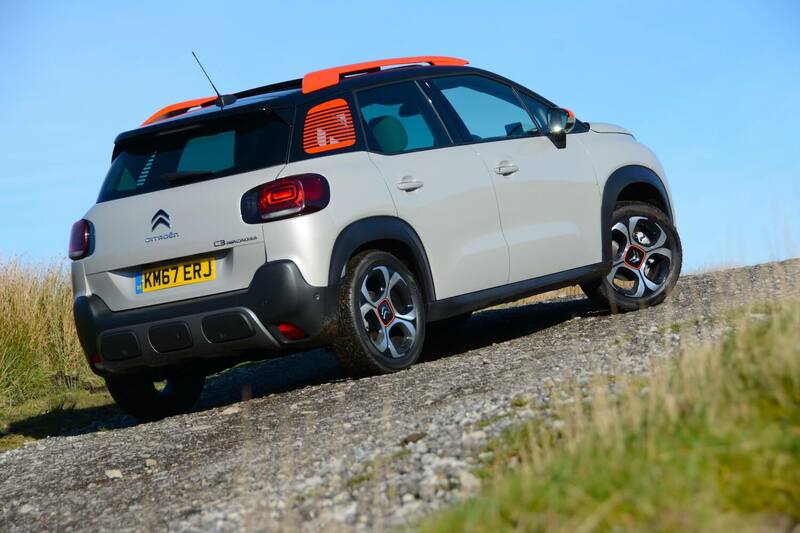 The Citroen C3 Aircross Flair S&S PureTech 110 Auto gains a Green Car Guide rating of 8 out of 10.